We love sharing what we are passionate about and what we've collectively learned over the years working with coffee. And so we're delighted to offer a variety of coffee workshops. If you love coffee and want to learn with us, check out what we've got on offer. 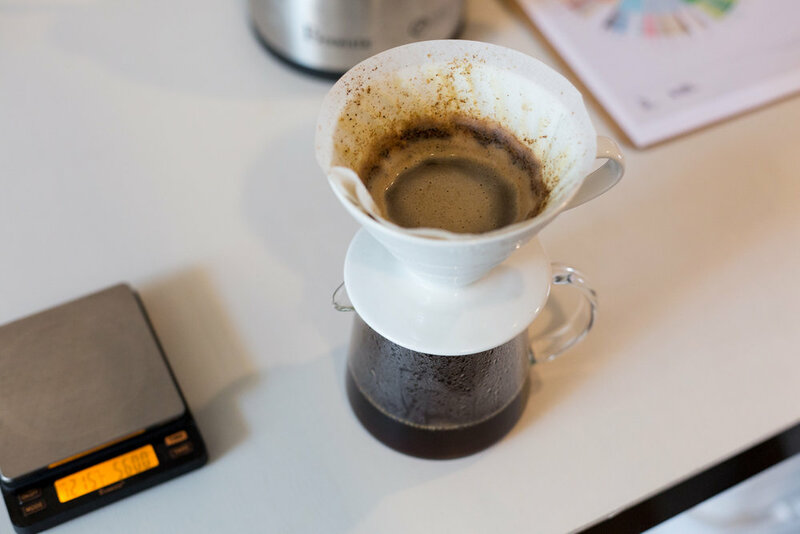 In this 2h class we take you through the basics of coffee brewing and show you how to get the most out of various 'soft' brew methods such as the pour over, aeropress, clever dripper and the good old cafetiere. We'll explain the brewing principles and how the different variable such as grind size, brewing time and method impact the flavours in your cup. You'll have a chance to get hands on with the brewing and taste ours and your brews. And finally you'll get to take home a bag of beans to play with. This 2h sensory workshop is focused on exploring the journey of coffee from seed to cup, our perception of flavour in general and the flavours we find coffee and where they come from. In the first part of the session we explore various tastes, aromas and how they come together to give flavours. In the second part of the session we discover coffee origins, varieties & processing methods and bring it all together in a 'cupping' - professional coffee tasting. This 3h barista workshop will take you through choosing the coffee that's right for you through discussing and tasting different origins and processing methods so that you can find what you really enjoy. You will learn the basic espresso brewing principles and how to 'dial-in' a coffee to your preferred recipe. And finally you'll get a chance to perfect your milk steaming and practice some latte art patterns. And at the end, you'll take home a bag of coffee of your choice to practice your freshly gained barista skills.